In my ideal and super-Instagrammable world, my husband and I would spend Sundays poring over beautiful cookbooks and food blogs to plan our week in meals. In our real world, meal planning is a bit of a stressor. We understand that meal planning is a great idea – it can help you save money, make healthier food decisions and cuts down on food waste. However, when it comes to selecting recipes and planning the week, it always takes longer than it should. I knew ultimately that meal planning was such a silly thing to stress over, but I still felt it was important, so I sought out a solution to make it easier. Enter: Google Sheets. I’ve been known to use Google Sheets and pivot tables to plan everything – I may have created a wedding planning Google Sheet embarrassingly soon after getting engaged a few years ago. I played around with Google Sheets to create a meal planning system and I hope what I’ve created can be helpful to someone else. You will find that a little investment up front makes your meal planning come together in a snap each week; on average, it takes me about 10 minutes to write my shopping list. To get started, download my template here and either edit it in Excel or by re-uploading into Google Sheets (personally, I find pivot tables 100x easier in Google Sheets and highly recommend that option). The first step is to create a running list of your favorite recipes in Tab #1, “Recipes (Add Recipes Here. )” The trick is that each ingredient needs to be listed individually for this to work. Copy and paste your recipe name for however many ingredients you have, and then fill in the ingredients and quantity for each on the corresponding lines. While not necessary, it can also be helpful to include the URL for the recipe as well as how many servings it creates. 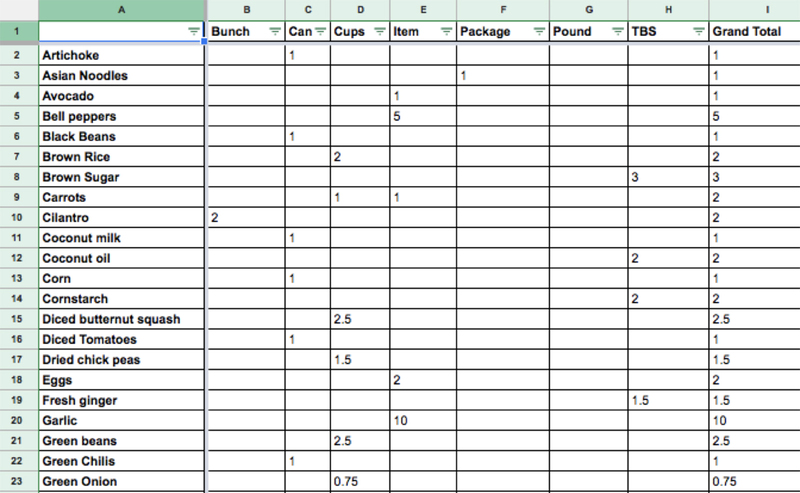 I recommend starting the spreadsheet with 35-50 recipes and keep adding as you go. Don’t feel like everything needs to be a formal recipe. For example, I have three lines in the tab dedicated to avocado toast just to help myself plan. 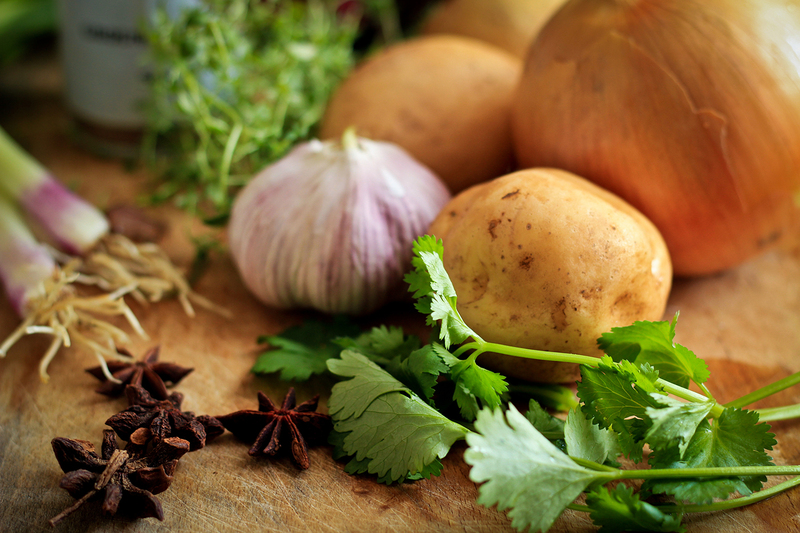 It’s time to pick your recipes for the week! 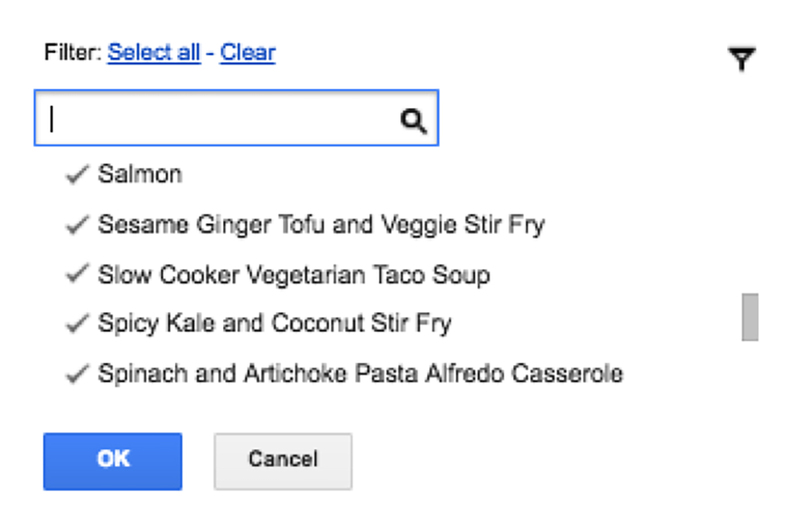 Go to Tab #2, “Shopping List (Build List Here),” and use the pivot tables to pick your recipes with the filter. Picking the recipes this way will help create a shopping list based on the common ingredients between your meals. The pivot table should be set up when you download the template, but see the below screenshot for how to edit as needed. Start by transcribing your shopping list from the Google Sheet onto your personal shopping list. Next, augment with any additional items you need for the week (e.g. coffee, apples, string cheese, etc.). In my house, we find that the easiest way to do this is with Wunderlist, a collaborative to-do list app that syncs across your devices. My husband and I have a Groceries Wunderlist that we both have access to on our phones and laptops. It’s great because we can easily pull it up on the computer as we’re working with the Google Sheet, and we can throw items on throughout the week as we remember them. When we get to the store, we pull up Wunderlist on our phones so we can check things off as they go into the cart. For your reference again, download the meal planning template here.